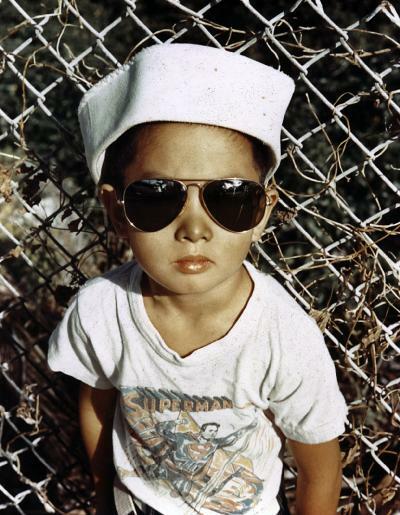 English Professor Shawn Wong looked like a typical American kid in his sailor cap and shades in this childhood photo. Wong was a consultant for and appears in a new Bill Moyers documentary, Becoming American: The Chinese Experience, at 9 p.m. March 25, 26 and 27 on KCTS/9. This is the story of how Professor of English Shawn Wong became a television star. Or at least, a notable on PBS. About two years ago he was contacted by the producers of a planned PBS documentary on Chinese Americans. “They asked what they should read, who they should see. So I talked to them,” says Wong, who had been involved with several documentaries on this subject over the years. “I gave them the names of historians. 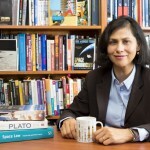 I suggested they attend an upcoming Asian American Studies convention and try to find those historians who could talk intelligently and not put viewers to sleep,” Wong says. Wong thought his work was done. But the producers called a third time, a few months later. They had read all the suggested books and followed all of Wong’s excellent leads — but now they wanted him to appear in the documentary. Wong resisted. “We think you should be in it,” they told him. So, Wong became the first contact for the producers, two years ago, as well as the final interview. And to his surprise, it was fun. Becoming American is a three-part documentary. The first two parts trace the history of Chinese in America, from the Gold Rush through World War II. The third part deals with contemporary issues and consists primarily of personal vignettes. Wong is the only person who appears in all three segments. 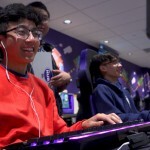 “Although the focus of the documentary is on Chinese Americans, the programs shed light on the idea of what it means to be an American,” Wong says. The two events around which Becoming American is built are the Chinese Exclusion Act of 1882 — the first time the United States banned any group based on race or nationality and the Immigration Reform Act of 1965 — which removed the most severe bans on immigration by Asians and other non-Europeans. And it was clear from the way he was raised that he was culturally different: A picture of a 7-year-old Shawn Wong, complete with cowboy hat, guns, and chaps, is featured on the Becoming American website, http://www.becomingamerican.org/. Still, the adoption of standard elements of American culture did not spare Wong from embarrassing incidents. Wong has seen only short pieces from Becoming American and is looking forward to its debut. “The whole experience working on it was fascinating,” he says. Becoming American: The Chinese Experience premieres at 9 p.m. March 25, 26 and 27 on KCTS.